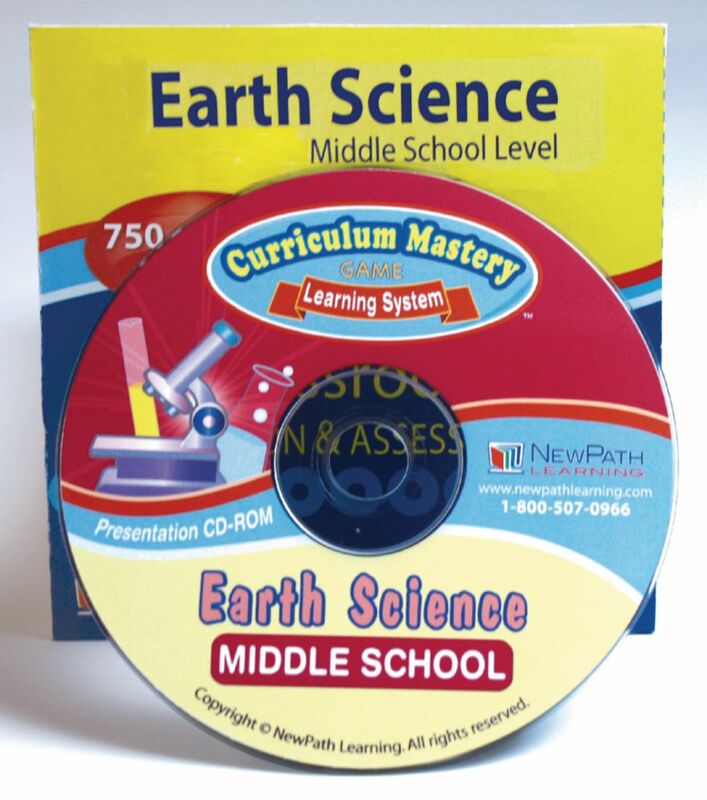 Review and reinforce key middle school earth science concepts with 750 illustrated review questions covering 25 standards-based topics. Display questions from a single topic or combine multiple topics and save your selections as a lesson plan. Provide instant feedback along with the time on task, number of attempts, percent answered correctly and number of questions remaining. Engaging format can be used with Interactive Whiteboards or projection systems for participation by the whole class or for use in learning centers or by individual students for practice and assessment prep. Topics include Introduction to Earth Science; Maps as Models of the Earth/Contour Models; Minerals; Rocks; Fossils; Earth’s Energy Resources; Geologic Time; Plate Tectonics; Earthquakes; Volcanoes; Weathering of Rocks & Soil Formation; Earth’s Fresh Water; Groundwater Resources; Agents of Erosion & Deposition; Exploring the Oceans/Oceanography; The Movement of Ocean Water; Earth’s Atmosphere; Understanding Weather; Weather Patterns; Climate; Studying & Exploring Space; Stars, Galaxies & the Universe; The Sun-Earth-Moon System; Our Solar System; and Our Impact on Earth.